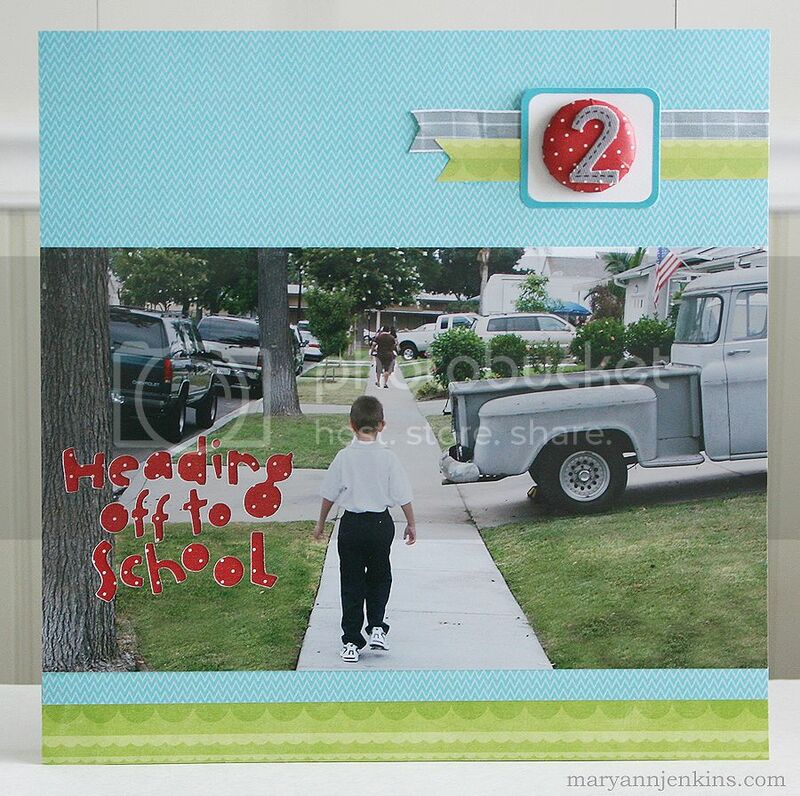 I have this layout up on the Imaginisce blog, for "Back 2 School week". I used my Cricut to cut the title from the photo and backed it with a coordinating paper. And with this layout, I am officially caught up on Tuckers school album!! Perfect timing since the first day of school is just over two weeks away. I still can't believe my baby boy is starting middle school. I love the big photo and really cool title work cut right into it! What a fantastic layout! I love the title cut out of the photo. Absolutely fabulous layout! LOVE that photo! I love, love love this! The title work is awesome-so cool!! So so cute girl - love the way you cut out the title!! cute photo! 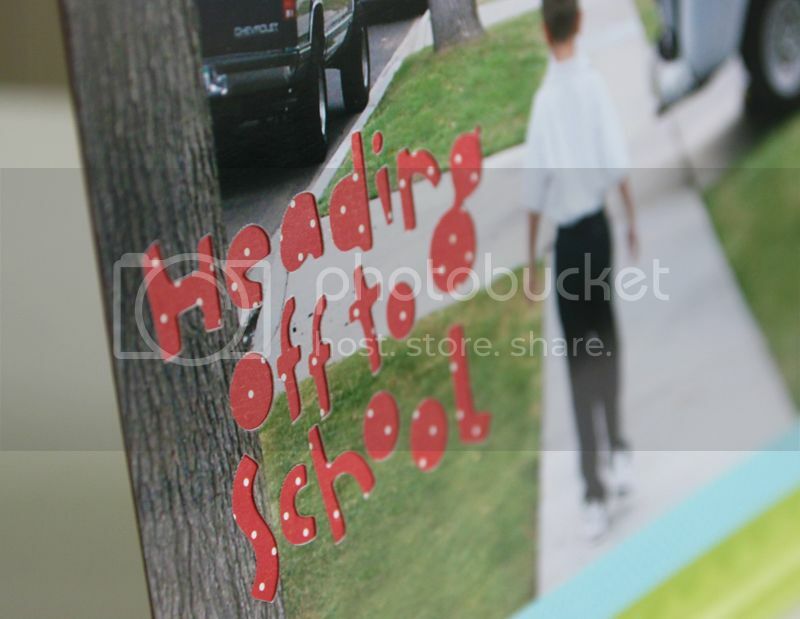 Love those walking to school photos. We try to take one every year. You were gutsy to cut through that large photo, great job though! I love using the photo big and having it as a landing spot for the title. Really cute what you did with the negative die cut. GREAT page! Such a cute page, Mary Ann!! I love that you cut the title in your photo and the brad with the 2 Thicker is a great touch! !